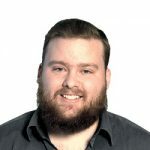 Bio: At Metis, Andrew has taught the fundamentals of Machine Learning and Data Science in a 3 month Bootcamp to over a 100 students and advised nearly 500 student projects. Andrew came to Metis from LinkedIn, where he worked as a Data Scientist, on the Education, Skills and then the NLP teams. He is passionate about helping people make rational decisions and building cool data products. Prior to that he worked on fraud modeling at IMVU (the lean startup) and studied applied physics at Cornell. He loves snowboarding, traveling, scotch and reading about all kinds of nerdy topics.